Service Location: The Church of Jesus Christ of Latter-day Saints, 4346 S. Val Vista Rd. Ruth Rasmussen Buchanan died peacefully at home on February 18, 2015 at the age of 68. She was born to Arthur Price and Alice Houston Rasmussen in Price, Utah on April 1, 1946. Because her birthday was on April Fool’s Day, she had a contagious sense of humor and brought joy to all her knew her. Ruth grew up in Price. 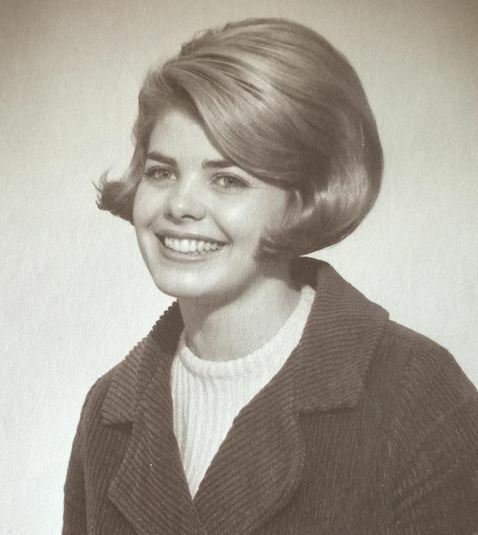 As Miss Carbon County in 1964, she had the honor of detonating the dynamite blast opening up the highway in Price Canyon for travelers going to Salt Lake City. She married Bruce Albert Buchanan of Helper, Utah, on July 1, 1967 in Salt Lake City. Their marriage was later solemnized in the Salt Lake Temple on June 1, 1977. They raised their six children in Las Cruces and Farmington, New Mexico. Recently she and Bruce made their home in Gilbert, Arizona. She is survived by her husband Bruce, beautiful daughters Heather (Bradford) Pack and Kristi (Jeffrey) Cutler, handsome sons Ryan (Rachel) Buchanan, Bevan (Amanda) Buchanan, Spencer (Kari) Buchanan, Adam (Lisa) Buchanan, siblings Dorothy (Glen) Hackwell, Helen (Tom) Platis, Art (Lanice) Rasmussen, and 21 grandchildren who knew her as Mimi, Christopher, Elise, Bruce, Alice Ruth, Johnathan, Annie Kate, Caroline, Sally Jane, Luke, Elle, Jane, Kate, Liam, Asher, Kingston, Savannah, Moirah, Cozette, Ryan, Beckham, and Max. Her newest grandchild will be under her care until this summer. Funeral services will be held at 3:00 p.m. on Saturday, February 21, 2015, at the LDS Partridge Building, 4346 S. Val Vista Drive, Gilbert, Arizona. A viewing will be held at the church on Friday from 6 – 8 p.m. and Saturday prior to the services from 1:30 – 2:30 p.m.
She will be interred at the Cliffview Cemetery, 2100 East 800 North, Price, Utah on Monday, February 23 at 11 a.m.
We remember Ruth as a dear friend and miss her smile and many kindnesses. Our humble prayer and condolence is with you at this challenging time, a time that makes us even more grateful for restoration of the gospel, our knowledge of eternal principles and families. God has called home one of the best. Bruce and family our hearts go out to you at this time. You have our prayers and thoughts at this difficult time.